Shop for Ray Charles mp3s. Get Ray Charles essential facts below. 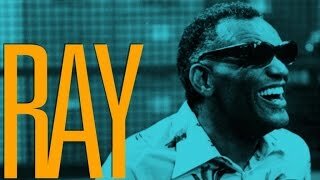 View Videos or join the Ray Charles discussion. 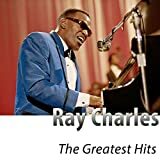 Add Ray Charles to your PopFlock.com topic list for future reference or share this resource on social media. 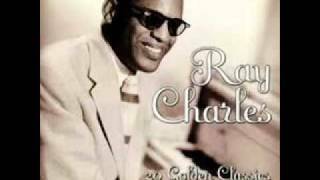 Ray Charles Robinson[note 1] (September 23, 1930 - June 10, 2004), known professionally as Ray Charles, was an American singer-songwriter, musician, and composer. Among friends and fellow musicians he preferred being called "Brother Ray". He was often referred to as "The Genius". Charles was blind from the age of seven. He pioneered the soul music genre during the 1950s by combining blues, rhythm and blues, and gospel styles into the music he recorded for Atlantic Records. He also contributed to the integration of country music, rhythm and blues, and pop music during the 1960s with his crossover success on ABC Records, most notably with his two Modern Sounds albums. While he was with ABC, Charles became one of the first black musicians to be granted artistic control by a mainstream record company. Charles cited Nat King Cole as a primary influence, but his music was also influenced by country, jazz, blues, and rhythm and blues artists of the day, including Louis Jordan and Charles Brown. He became friends with Quincy Jones. Their friendship lasted until the end of Charles's life. 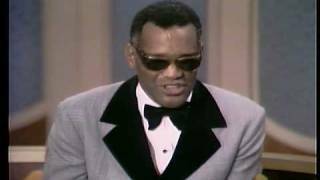 Frank Sinatra called Ray Charles "the only true genius in show business", although Charles downplayed this notion. 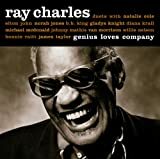 In 2002, Rolling Stone ranked Charles number ten on its list of the "100 Greatest Artists of All Time", and number two on their November 2008 list of the "100 Greatest Singers of All Time".Billy Joel observed, "This may sound like sacrilege, but I think Ray Charles was more important than Elvis Presley". Ray Charles Robinson was the son of Bailey Robinson, a laborer, and Aretha (or Reatha) Williams. At the time, his mother was a teenage orphan making a living as a sharecropper. They lived in Greenville, Florida with Robinson's father and his wife, Mary Jane Robinson. The Robinson family had informally adopted Aretha (or Reatha), and she took the surname Robinson. When she became pregnant by Bailey, incurring scandal, she left Greenville late in the summer of 1930 to be with family members in Albany, Georgia for the baby's birth, after which mother and child returned to Greenville. She and Mary Jane then shared in Ray's upbringing. He was deeply devoted to his mother and later recalled her perseverance, self-sufficiency, and pride as guiding lights in his life. His father abandoned the family, left Greenville, and married another woman elsewhere. In his early years, Charles showed an interest in mechanical objects and would often watch his neighbors working on their cars and farm machinery. His musical curiosity was sparked at Wylie Pitman's Red Wing Cafe, at the age of three, when Pitman played boogie woogie on an old upright piano; Pitman subsequently taught Charles how to play the piano. Charles and his mother were always welcome at the Red Wing Cafe and even lived there when they were in financial distress. Pitman would also care for Ray's younger brother George, to take some of the burden off their mother. George drowned in his mother's laundry tub when he was four years old. Charles started to lose his sight at the age of four or five, and was completely blind by the age of seven, apparently as a result of glaucoma. Destitute, uneducated, and still mourning the loss of her younger son, Aretha (or Reatha) Robinson used her connections in the local community to find a school that would accept a blind African-American pupil. Despite his initial protest, Charles attended school at the Florida School for the Deaf and the Blind in St. Augustine from 1937 to 1945. Charles further developed his musical talent at school and was taught to play the classical piano music of J.S. Bach, Mozart and Beethoven. His teacher, Mrs. Lawrence, taught him how to use braille music which was a difficult process that requires learning the left hand movements by reading braille with the right hand and learning the right hand movements by reading braille with the left hand, and then combining the two parts. While Charles was happy to play classical music, he was more interested in the jazz, blues, and country music he heard on the radio. :29-38 On Fridays, the South Campus Literary Society held assemblies at which Charles would play piano and sing popular songs. On both Halloween and George Washington's birthday, the black department of the school held socials at which Charles would play. It was here he established "RC Robinson and the Shop Boys" and sang his own arrangement of "Jingle Bell Boogie". During this time, he performed on WFOY radio in St. Augustine. When Charles was 14 years old in the spring of 1945, his mother died. Her death came as a shock to him; he later said that the deaths of his brother and mother were "the two great tragedies" of his life. Charles returned to school after the funeral but was expelled in October for playing a prank on his teacher. After leaving school, Charles moved to Jacksonville with a couple who had been friends with his late mother. He played the piano for bands at the Ritz Theatre in LaVilla for over a year, earning $4 a night (US$50 in 2017 dollars). In 1947, Charles moved to Tampa, where he had two jobs: one as a pianist for Charles Brantley's Honeydippers, a seven-piece band, and another as a member of a white country band called the Florida Playboys (though there is no historical trace of his involvement in the Florida Playboys besides his own testimony). This is when he began his habit of always wearing sunglasses, made by designer Billy Stickles. In his early career, he modeled himself on Nat "King" Cole. His first four recordings--"Wondering and Wondering", "Walking and Talking", "Why Did You Go?" and "I Found My Baby There"--were supposedly made in Tampa, although some discographies also claim he recorded them in Miami in 1951 or Los Angeles in 1952. 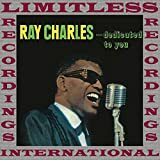 After joining Swing Time Records, he recorded two more R&B hits under the name Ray Charles: "Baby, Let Me Hold Your Hand" (1951), which reached number five, and "Kissa Me Baby"(1952), which reached number eight. Swing Time folded the following year, and Ahmet Ertegn signed him to Atlantic Records. In June 1952, Atlantic Records bought Charles's contract for $2,500 (US$23,039 in 2017 dollars). 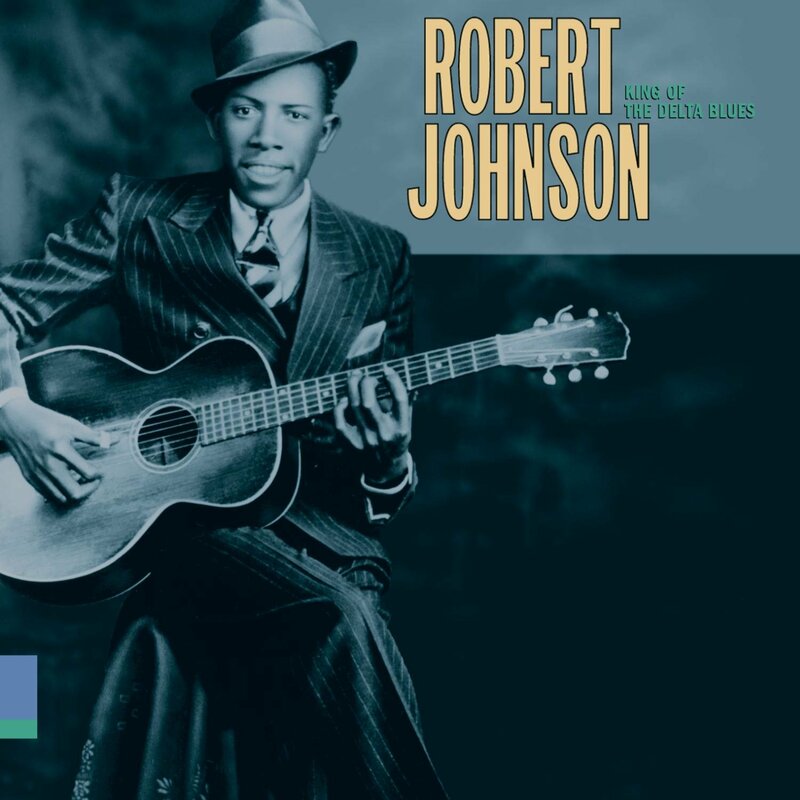 His first recording session for Atlantic ("The Midnight Hour"/"Roll with My Baby") took place in September 1952, although his last Swingtime release ("Misery in My Heart"/"The Snow Is Falling") would not appear until February 1953. In 1953, "Mess Around" became Charles's first small hit for Atlantic; the following year he had hits with "It Should've Been Me" and "Don't You Know". He also recorded the songs "Midnight Hour" and "Sinner's Prayer". Late in 1954, Charles recorded "I've Got a Woman". The lyrics were written by Ray's bandleader, Renald Richard. Ray claimed the composition. They later openly admitted that the song went back to The Southern Tones' "It Must Be Jesus" (1954, Duke 205). It became one of his most notable hits, reaching number two on the R&B chart. "I've Got a Woman" included a mixture of gospel, jazz and blues elements that would later prove to be seminal in the development of soul music. In 1955, he had hits with "This Little Girl of Mine" and "A Fool for You". In upcoming years, he scored with "Drown in My Own Tears" and "Hallelujah I Love Her So". In 1959, "What'd I Say" reached the #6 position on the Billboard Pop chart (and #1 on the Billboard R&B chart). During his career, Charles also recorded instrumental jazz albums, such as The Great Ray Charles (1957). During this time, he also worked with the jazz vibraphonist Milt Jackson, releasing Soul Brothers in 1958 and Soul Meeting in 1961. By 1958, Charles was not only headlining black venues such as the Apollo Theater, in New York, but also bigger venues, such as Carnegie Hall and the Newport Jazz Festival (where his first live album was recorded in 1958). At this time, Charles recruited a young all-female singing group, The Cookies, and reshaped them as the Raelettes. Charles reached the pinnacle of his success at Atlantic with the release of "What'd I Say", a complex song that combined gospel, jazz, blues and Latin music, which Charles would later claim he had composed spontaneously as he was performing in clubs and dances with his small band. Despite some radio stations banning the song because of its sexually suggestive lyrics, the song became Charles's first crossover top-ten pop record. 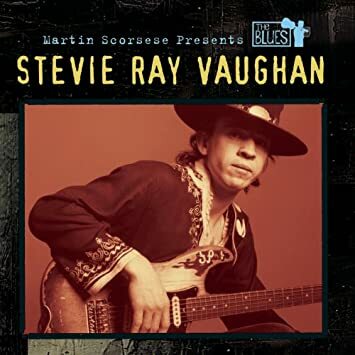 Later in 1959, he released his first country song (a cover of Hank Snow's "I'm Movin' On") and also recorded three more albums for the label: a jazz record (released in 1961 as The Genius After Hours); a blues record (released in 1961 as The Genius Sings the Blues); and a traditional pop-big band record (The Genius of Ray Charles). 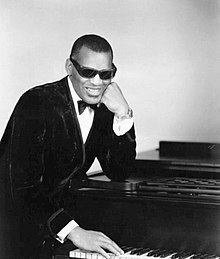 The Genius of Ray Charles was his first top-40 album, peaking at number 17, and was later viewed as a landmark record in his career. Charles's Atlantic contract expired in the fall of 1959, with several big labels offered him record deals; choosing not to renegotiate his contract with Atlantic, he signed with ABC-Paramount Records in November 1959. He obtained a more liberal contract than other artists had at the time, with ABC offering him a $50,000 (US$419,749 in 2017 dollars) annual advance, higher royalties than before and eventual ownership of his master tapes--a very valuable and lucrative deal at the time. During his Atlantic years, Charles had been heralded for his own inventive compositions, but by the time of the release of the instrumental jazz album Genius Soul = Jazz (1960) for ABC's subsidiary label Impulse!, he had virtually given up on writing original material, instead following his eclectic impulses as an interpreter. With "Georgia on My Mind", his first hit single for ABC-Paramount in 1960, Charles received national acclaim and four Grammy Awards, including two for "Georgia on My Mind" (Best Vocal Performance Single Record or Track, Male, and Best Performance by a Pop Single Artist). Written by the composers Stuart Gorrell and Hoagy Carmichael, the song was Charles's first work with Sid Feller, who produced, arranged and conducted the recording. Charles earned another Grammy for the follow-up "Hit the Road Jack", written by the R&B singer and songwriter Percy Mayfield. By late 1961, Charles had expanded his small road ensemble to a full-scale big band, partly as a response to increasing royalties and touring fees, becoming one of the few black artists to cross over into mainstream pop with such a level of creative control. This success, however, came to a momentary halt during a concert tour in November 1961, when a police search of Charles's hotel room in Indianapolis, Indiana, led to the discovery of heroin in the medicine cabinet. The case was eventually dropped, as the search lacked a proper warrant by the police, and Charles soon returned to music. In the early 1960s, whilst on the way from Louisiana to Oklahoma City, Charles faced a near-death experience when the pilot of his plane lost visibility, as snow and his failure to use the defroster caused the windshield of the plane to become completely covered in ice. The pilot made a few circles in the air before he was finally able to see through a small part of the windshield and land the plane. Charles placed a spiritual interpretation on the event, claiming that "something or someone which instruments cannot detect" was responsible for creating the small opening in the ice on the windshield which enabled the pilot to land the plane safely. 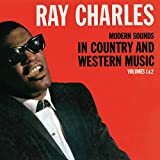 The 1962 album Modern Sounds in Country and Western Music and its sequel, Modern Sounds in Country and Western Music, Vol. 2, helped to bring country music into the musical mainstream. Charles's version of the Don Gibson song I Can't Stop Loving You topped the Pop chart for five weeks, stayed at number 1 on the R&B chart for ten weeks, and gave him his only number-one record in the UK. In 1962, he founded his own record label, Tangerine Records, which ABC-Paramount promoted and distributed. :248:213-16 He had major pop hits in 1963 with "Busted" (US number 4) and Take These Chains from My Heart (US number 8). In 1965, Charles's career was halted once more after he was arrested for a third time for possession of heroin. He agreed to go to rehab to avoid jail time and eventually kicked his habit at a clinic in Los Angeles. After spending a year on parole, Charles reappeared in the charts in 1966 with a series of hits composed with the fledgling team of Ashford & Simpson, including the dance number "I Don't Need No Doctor" and "Let's Go Get Stoned", which became his first number-one R&B hit in several years. His cover version of "Crying Time", originally recorded by the country artist Buck Owens, reached number 6 on the pop chart and helped Charles win a Grammy Award the following March. In 1967, he had a top-twenty hit with another ballad, "Here We Go Again". Charles's renewed chart success, however, proved to be short lived, and by the 1970s his music was rarely played on radio stations. The rise of psychedelic rock and harder forms of rock and R&B music had reduced Charles' radio appeal, as did his choosing to record pop standards and covers of contemporary rock and soul hits, since his earnings from owning his masters had taken away the motivation to write new material. Charles nonetheless continued to have an active recording career. Most of his recordings between 1968 and 1973 evoked strong reactions: people either liked them a lot or strongly disliked them. His 1972 album A Message from the People included his unique gospel-influenced version of "America the Beautiful" and a number of protest songs about poverty and civil rights. Charles was often criticized for his version of "America the Beautiful" because it was very drastically changed from the song's original version. In 1974, Charles left ABC Records and recorded several albums on his own label, Crossover Records. A 1975 recording of Stevie Wonder's hit "Living for the City" later helped Charles win another Grammy. In 1977, he reunited with Ahmet Ertegn and re-signed to Atlantic Records, for which he recorded the album True to Life, remaining with his old label until 1980. However, the label had now begun to focus on rock acts, and some of their prominent soul artists, such as Aretha Franklin, were starting to be neglected. In November 1977 he appeared as the host of the NBC television show Saturday Night Live. In April 1979, his version of "Georgia on My Mind" was proclaimed the state song of Georgia, and an emotional Charles performed the song on the floor of the state legislature. Although he had notably supported the American Civil Rights Movement and Martin Luther King, Jr. in the 1960s, Charles was criticized for performing at the Sun City resort in South Africa in 1981, during an international boycott protesting that country's apartheid policy. In 1983, Charles signed a contract with Columbia Records. 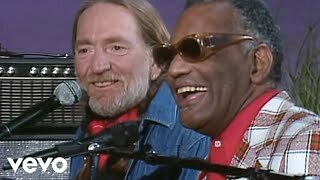 He recorded a string of country albums and had hit singles in duets with singers such as George Jones, Chet Atkins, B. J. Thomas, Mickey Gilley, Hank Williams, Jr., Dee Dee Bridgewater ("Precious Thing") and his longtime friend Willie Nelson, with whom he recorded the number 1 country duet "Seven Spanish Angels". Prior to the release of his first album for Warner, Would You Believe, Charles made a return to the R&B charts with a cover of the Brothers Johnson's "I'll Be Good to You", a duet with his lifelong friend Quincy Jones and the singer Chaka Khan, which hit number one on the R&B chart in 1990 and won Charles and Khan a Grammy for their duet. Prior to this, Charles returned to the pop charts with "Baby Grand", a duet with the singer Billy Joel. In 1989, he recorded a cover of the Southern All Stars' "Itoshi no Ellie" for a Japanese TV advertisement for the Suntory brand, releasing it in Japan as "Ellie My Love", where it reached number 3 on its Oricon chart. In the same year he was a special guest at the Arena di Verona during the tour promoting Oro Incenso & Birra of the Italian singer Zucchero Fornaciari. Charles's 1993 album, My World, became his first album in some time to reach the Billboard 200, whilst his cover of Leon Russell's "A Song for You" gave him a hit on the adult contemporary chart and his twelfth and final Grammy. By the beginning of the 1980s, Charles was reaching younger audiences in films and TV shows. In 1980, he appeared in The Blues Brothers. His version of "Night Time Is the Right Time" was played during The Cosby Show episode "Happy Anniversary", but he did not appear on the show. In 1985, he appeared among a group of other musicians in the USA for Africa charity recording "We Are the World". His popularity increased among younger audiences in 1991 after he appeared in a series of Diet Pepsi television commercials, which featured him singing the catchphrase "You Got the Right One, Baby". Two more slickly produced adult contemporary albums followed, Strong Love Affair (1996) and Thanks for Bringing Love Around Again (2002); both failed to chart and were soon forgotten. In the late 1980s and early 1990s, he made appearances on the television show Super Dave Osbourne in a series of vignettes in which he was somehow driving a car, often as Super Dave's chauffeur. During the sixth season of Designing Women, Charles sang "Georgia on My Mind" in place of the instrumental cover version which had been used in the previous five seasons. He also appeared in four episodes of the popular TV comedy The Nanny, playing Sammy in seasons 4 and 5 in 1997-98. In 2001-02, Charles appeared in commercials for the New Jersey Lottery to promote its campaign "For every dream, there's a jackpot". During this same period, Charles toured in numerous countries around the world; he was extremely popular in Japan. When he appeared in London and Paris, he usually flew in the Concorde, while his band arrived separately in a 747. Charles performed at two US Presidential inaugurations: Ronald Reagan's second inauguration, in 1985, and Bill Clinton's first inauguration, in 1993. On October 28, 2001, several weeks after the terrorist attacks of September 11, Charles appeared during game 2 of the World Series, between the Arizona Diamondbacks and New York Yankees, and performed "America the Beautiful". In the same year he collaborated once again with Zucchero Fornaciari who sampled a piece of melody coming from What'd I Say in the album Shake. In 2003, Charles had successful hip replacement surgery and was planning to go back on tour, until he began suffering from other ailments. He died at his home in Beverly Hills, California of complications resulting from acute liver disease, on June 10, 2004, aged 73, surrounded by family and friends. His funeral took place on June 18, 2004, at the First AME Church in Los Angeles with numerous musical figures in attendance.B. B. King, Glen Campbell, Stevie Wonder and Wynton Marsalis each played a tribute at the funeral. He was interred in the Inglewood Park Cemetery. His final album, Genius Loves Company, released two months after his death, consists of duets with various admirers and contemporaries: B. B. 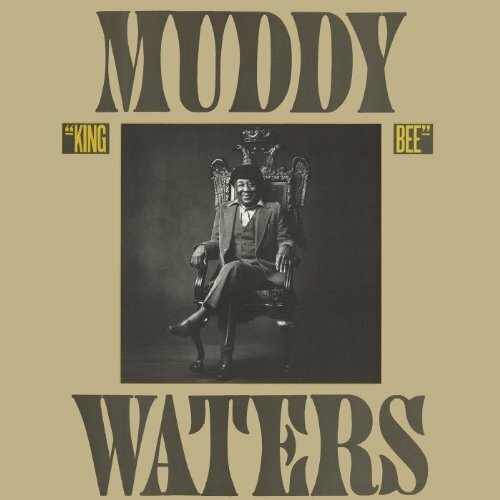 King, Van Morrison, Willie Nelson, James Taylor, Gladys Knight, Michael McDonald, Natalie Cole, Elton John, Bonnie Raitt, Diana Krall, Norah Jones and Johnny Mathis. The album won eight Grammy Awards, including Best Pop Vocal Album, Album of the Year, Record of the Year and Best Pop Collaboration with Vocals (for "Here We Go Again", with Norah Jones), and Best Gospel Performance (for "Heaven Help Us All", with Gladys Knight); he also received nods for his duets with Elton John and B. B. King. The album included a version of Harold Arlen's and E. Y. Harburg's "Over the Rainbow", sung as a duet with Johnny Mathis, which was played at Charles's memorial service. Two more posthumous albums were released: Genius & Friends (2005), a selection of duets recorded from 1997 to 2004 with artists of Charles's choice, including "Big Bad Love" with Diana Ross, and Ray Sings, Basie Swings (2006), which combined live vocal performances by Charles from the mid-1970s recorded from the concert mixing board with new instrumental tracks specially recorded by the contemporary Count Basie Orchestra and other musicians to create a "fantasy concert" recording. His second marriage, to Della Beatrice Howard Robinson (called "Bea" by Charles), began on April 5, 1955, and lasted 22 years. Their first child together, Ray Jr., was born in 1955. Charles was not in town for the birth, as he was playing a show in Texas. The couple had two more children, David (1958) and Robert (1960). Charles felt that his heroin addiction took a toll on Della during their marriage. Charles had a six-year-long affair with Margie Hendricks, one of the original Raelettes, and in 1959 they had a son, Charles Wayne. His affair with Mae Mosley Lyles resulted in another daughter, Renee, born in 1961. In 1963, by Sandra Jean Betts, Ray Charles had a daughter, Sheila, a singer-songwriter, who died of breast cancer on June 15, 2017. In 1966, his daughter Aretha was born to a woman who remains unidentified, and another daughter, Alexandra, was born to Chantal Bertrand. Charles divorced Della Howard in 1977. Later that year he had a son, Vincent, with Arlette Kotchounian. A daughter, Robyn, was born a year later to Gloria Moffett. His youngest child, a son, Ryan Corey den Bok, was born in 1987 to Mary Anne den Bok. One of Charles's long-term girlfriends at the time of his death was Norma Pinella. Charles was arrested again on a narcotics charge on November 14, 1961, while waiting in an Indiana hotel room before a performance. The detectives seized heroin, marijuana, and other items. Charles, then 31, stated that he had been a drug addict since the age of 16. The case was dismissed because of the manner in which the evidence was obtained, but Charles's situation did not improve until a few years later. Individuals such as Quincy Jones and Reverend Henry Griffin felt that those around Charles were responsible for his drug use. Sinatra, and Bing Crosby before him, had been masters of words. Ray Charles is a master of sounds. His records disclose an extraordinary assortment of slurs, glides, turns, shrieks, wails, breaks, shouts, screams and hollers, all wonderfully controlled, disciplined by inspired musicianship, and harnessed to ingenious subtleties of harmony, dynamics and rhythm... It is either the singing of a man whose vocabulary is inadequate to express what is in his heart and mind or of one whose feelings are too intense for satisfactory verbal or conventionally melodic articulation. He can't tell it to you. He can't even sing it to you. He has to cry out to you, or shout to you, in tones eloquent of despair--or exaltation. The voice alone, with little assistance from the text or the notated music, conveys the message. His style and success in the genres of rhythm and blues and jazz had an influence on a number of highly successful artists, including Elvis Presley, Aretha Franklin, Stevie Wonder, Van Morrison, Billy Joel, and Steve Winwood. According to Joe Levy, a music editor for Rolling Stone, "The hit records he made for Atlantic in the mid-50's mapped out everything that would happen to rock 'n' roll and soul music in the years that followed". Charles was also an inspiration to Pink Floyd member Roger Waters, who told the Turkish newspaper Hurriyet: "I was about 15. In the middle of the night with friends, we were listening to jazz. 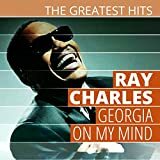 It was "Georgia on My Mind", Ray Charles's version. Then I thought 'One day, if I make some people feel only one-twentieth of what I am feeling now, it will be quite enough for me.'" 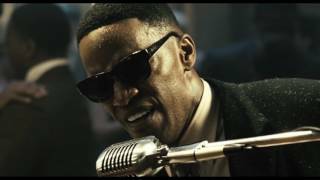 Ray, a biopic portraying his life and career between the mid-1930s and 1979, was released in October 2004, starring Jamie Foxx as Charles. Foxx won the 2005 Academy Award for Best Actor for the role. On December 7, 2007, the Ray Charles Plaza was opened in his hometown of Albany, Georgia, featuring a revolving, lighted bronze sculpture of Charles seated at a piano. The plaza's dedication was attended by his daughter Sheila Raye Charles. In 1979, Charles was one of the first musicians born in the state to be inducted into the Georgia State Music Hall of Fame. His version of "Georgia on My Mind" was also made the official state song of Georgia. In 2016, U.S. President Barack Obama said that "Ray Charles's version of 'America the Beautiful' will always be in my view the most patriotic piece of music ever performed--because it captures the fullness of the American experience, the view from the bottom as well as the top, the good and the bad, and the possibility of synthesis, reconciliation, transcendence." On March 15, 1961, shortly after the release of the hit song "Georgia on My Mind" (1960), then Albany, Georgia-born musician was scheduled to perform at a dance at Bell Auditorium in Augusta, but cancelled the show after learning from students of Paine College that the larger auditorium dance floor would be restricted to whites, while blacks would be obligated to sit in the Music Hall balcony. Charles left town immediately after letting the public know why he wouldn't be performing, but the promoter went on to sue Charles for breach of contract, and Charles was fined $757 in Fulton County Superior Court in Atlanta on June 14, 1962. The following year, Charles did perform at a desegregated Bell Auditorium concert together with his backup group the Raelettes on October 23, 1963, as depicted in the 2004 film, Ray. On December 7, 2007, Ray Charles Plaza was opened in Albany, Georgia, with a revolving, lighted bronze sculpture of Charles seated at a piano. Founded in 1986, the Ray Charles Foundation maintains the mission statement of financially supporting institutions and organizations in the research of hearing disorders. Originally known as "The Robinson Foundation for Hearing Disorders", it was renamed in 2006, and has since provided financial donations to numerous institutions involved in hearing loss research and education. Specifically, the purpose of the Foundation has been "to administer funds for scientific, educational and charitable purposes; to encourage, promote and educate, through grants to institutions and organizations, as to the causes and cures for diseases and disabilities of the hearing impaired and to assist organizations and institutions in their social educational and academic advancement of programs for the youth, and carry on other charitable and educational activities associated with these goals as allowed by law". 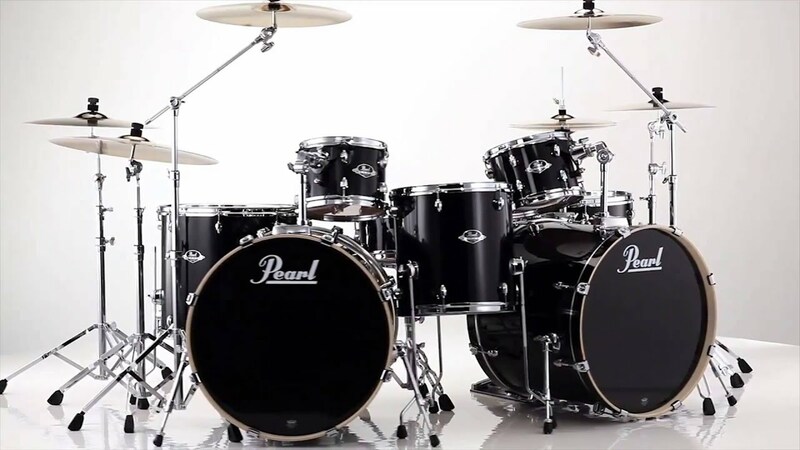 The organization's philanthropic views stem from Charles' own views on giving, as the musician often contributed cochlear implant donations to those who could not afford the procedure. Charles was recorded as saying that the reason he has given so much more time and money to the hearing impaired, rather than the visually impaired, was that music saved his life, and he wouldn't know what to do if he couldn't experience it. Recipients of donations include Benedict College, Morehouse College and numerous other universities. The foundation has taken action against donation recipients who do not use funds in accordance with its mission statement, such as the Albany State University, which was made to return a $3 million donation after not using the funds for over a decade. The foundation currently houses its executive offices at the historic RPM International Building, originally the home of Ray Charles Enterprises, and now also home to the Ray Charles Memorial Library on the first floor, which was founded on September 23, 2010 (what would have been his 80th birthday). The library was founded to "provide an avenue for young children to experience music and art in a way that will inspire their creativity and imagination", and is not open to the public without reservation, as the main goal is to educate mass groups of underprivileged youth and provide art and history to those without access to such documents. ^ a b Morrison, Van. "100 Greatest Artists of All Time. No. 10: Ray Charles". Rolling Stone. Retrieved 2010. 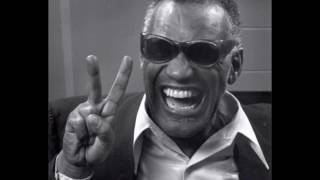 ^ a b c d "Ray Charles, American Legend, Dies at 73". NPR.org. June 11, 2004. Retrieved 2014. 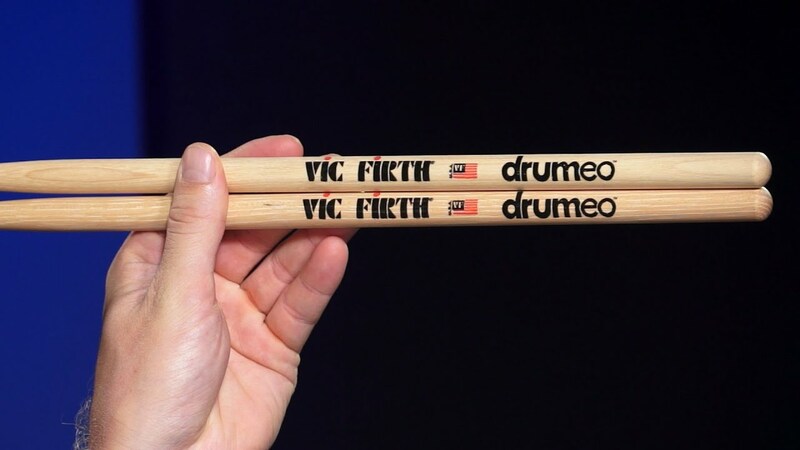 ^ Unterberger, Richie. 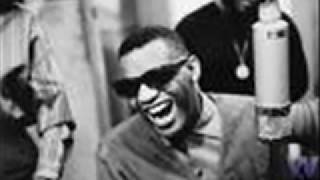 Biography: Ray Charles. AllMusic; retrieved November 26, 2009. ^ a b VH1 (2003), p. 210. 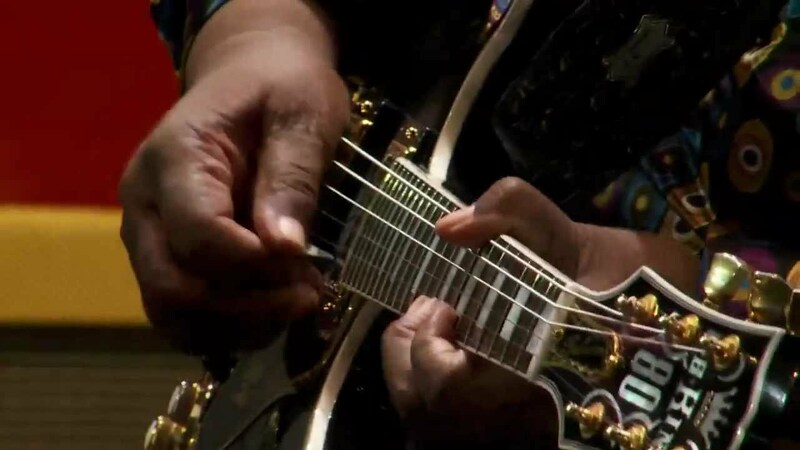 ^ "Show 15 - The Soul Reformation: More on the evolution of rhythm and blues". library.unt.edu. University of North Texas. May 11, 1969. Retrieved 2010. ^ Palmer, Robert (February 9, 1978). "Soul Survivor Ray Charles". Rolling Stone (258): 10-14. Retrieved 2008. ^ Tyrangiel, Josh (2006). "Review: Modern Sounds in Country and Western Music". Time. Retrieved 2009. ^ Joel, Billy. "100 Greatest Singers of All Time. No. 2: Ray Charles". Rolling Stone. Retrieved 2010. ^ "A Tribute to Ray Charles". Rolling Stone, nos. 952-953, July 8-22, 2004. ^ "Ray Charles Biography". SwingMusic.net. Retrieved 2008. ^ a b c d e f g Graham, Eamon (2004). "Obituary: Ray Charles (1930-2004)". Bohme Magazine. ^ a b c Federal Reserve Bank of Minneapolis Community Development Project. "Consumer Price Index (estimate) 1800-". Federal Reserve Bank of Minneapolis. Retrieved 2018. ^ a b Winski, Norman (1994). 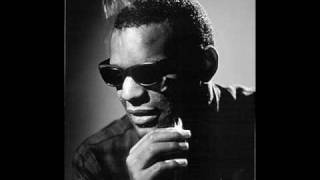 Ray Charles: Singer and Musician. Los Angeles: Melrose Square Publishing. pp. 102-107. ISBN 0-87067-790-X. ^ "Charlie Brantley and His Original Honey Dippers". Tampabaymusichistory.com. Retrieved . 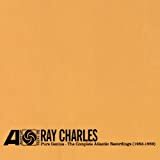 ^ "Charles, Ray (1930-2004)". HistoryLink.org. ^ "Quincy Jones Biography". Achievement.org. Archived from the original on October 23, 2012. Retrieved 2014. ^ Katel, Jacob (November 22, 2012). "Henry Stone: Legendary Soul". Miami New Times. Retrieved 2013. ^ a b c d "Ray Charles, Bluesy Essence of Soul". New York Times; retrieved December 12, 2008. 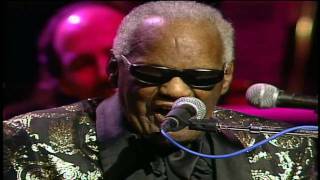 ^ "RS Biography: Ray Charles 1930-2004". Rolling Stone. Retrieved 2008. 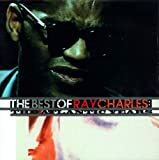 ^ "'Hit the Road Jack' by Ray Charles". Songfacts.com. Retrieved 2008. ^ a b Cooper (1998), pp. 20-22. ^ "Ray Charles Chart History". Billboard. Retrieved 2018. ^ "Ray Charles Profile". PianoFiles.com. Archived from the original on May 4, 2014. Retrieved 2015. 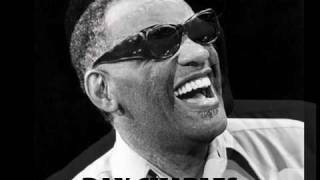 ^ "Ray Charles". SnlTranscripts.jt.org. November 12, 1977. Retrieved 2010. ^ "List of Best-Selling International Singles in Japan of 1989". Oricon. Wbs.ne.jp. Archived from the original on 2007-01-03. Retrieved 2018. 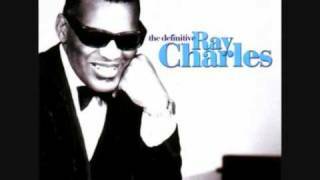 ^ "Ray Charles". Internet Movie Database. IMDB.com. Retrieved 2010. ^ "2003 White House Correspondents' Dinner Entertainment". C-span.org. Retrieved 2017. ^ D'Angelo, Joe. "Ray Charles Dead at 73". mtv.com. Retrieved 2012. ^ Evans, Mike. Ray Charles: The Birth of Soul. Retrieved 2012. ^ "Little Richard Has Heart Attack". Stcatharinesstandard.ca. Retrieved 2014. 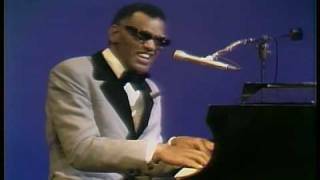 ^ a b "Many Pay Respects to Ray Charles". CBS News. June 10, 2004. Retrieved 2006. ^ "The daughter of Music Icon Ray Charles; Sheila Raye Charles succumbs to breast cancer". Einpresswire.com. 2017-06-15. Retrieved . ^ Interview with Sheila Ray Charles - RadioLIVE New Zealand, May 2010. ^ a b "Show 16 - The Soul Reformation: More on the Evolution of R&B". unt.edu. University of North Texas. Retrieved 2010. ^ "Ray Charles: Lessons From His Life & Death". BlackDoctor.org. Retrieved 2017. 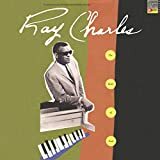 ^ "About Ray Charles". PBS.org. May 17, 2006. Retrieved 2017. 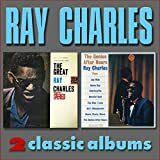 ^ "The chess games of Ray Charles". Chessgames.com. Archived from the original on October 7, 2014. Retrieved 2014. ^ "Chess News - GM Larry Melvyn Evans (1932-2010)". ChessBase.com. Retrieved 2011. ^ "Morehouse College Bennie and Candle Recipients 1989-2013". Morehouse College. Morehouse.edu. 2013. Archived from the original on 2017-03-17. Retrieved 2017. ^ a b "Ray Charles Performing Arts Center". The Ray Charles Foundation. Raycharles.com. 2015. Retrieved 2017. ^ Seymour, Add Jr. (September 29, 2010). "Morehouse Cuts the Ribbon on the Ray Charles Performing Arts Center and Music Academic Building". Morehouse.edu. Morehouse College. Retrieved 2017. ^ Pleasants, Henry (1974). The Great American Popular Singers. Simon and Schuster. ISBN 9780671216818. ^ Pareles, Jon (June 10, 2004). "Ray Charles, Who Shaped American Music, Dies at 73". The New York Times. Retrieved 2014. ^ Oskay, Cinar. "Roger Waters, Cinar Oskay roportaji: 'Muziginizin hatirlanmasi sizin icin onemli mi?'" (in Turkish). Hurriyet. Retrieved 2013. ^ "List of Inductees". Georgia Music Hall of Fame. 1979-2007. Archived from the original on October 15, 2006. Retrieved 2006. ^ "Inductees". Rock and Roll Hall of Fame & Museum. Archived from the original on November 23, 2006. Retrieved 2006. ^ "List of Kennedy Center Honorees". Kennedy Center. 1986. Retrieved 2006. ^ a b "Calendar & Events: Spring Sing: Gershwin Award". UCLA. Retrieved 2015. ^ "Lifetime Honors--National Medal of Arts". Nea.gov. Archived from the original on July 21, 2011. Retrieved 2010. ^ "Hall of Fame". National Black Sports & Entertainment. 2004. Archived from the original on March 9, 2007. Retrieved 2006. ^ Read, Mimi (February 23, 2005). "A Gift to Black Cuisine, from Ray Charles". New York Times. Retrieved 2010. ^ "Morehouse Cuts the Ribbon on the Ray Charles Performing Arts Center and Music Academic Building". Morehouse College. Morehouse.edu. Archived from the original on October 17, 2010. Retrieved 2010. ^ "William B. Bell Auditorium". augustaciviccenter.com. Retrieved 2012. ^ Robert Fontenot; About.com Guide. "How did racism affect Ray Charles?". about.com. Retrieved 2012. 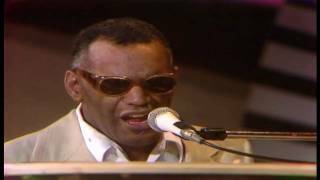 ^ "32 Years Ago This Month: Ray Charles Serenades the Legislature". AtlantaMagazine.com. Archived from the original on March 11, 2013. Retrieved 2013. ^ "Mission Statement". Theraycharlesfoundation.org. Retrieved 2014. ^ "Benedict College receives $500,000 gift?". Benedict.edu. Retrieved 2014. ^ "About the Foundation". Theraycharlesfoundation.org. Retrieved 2014. ^ "Morehouse Gets $3 Million Gift from Ray Charles Foundation". Ajc.com. Retrieved 2014. ^ "Ray Charles Foundation Wants $3 Million Gift Back". New York Daily News. Retrieved 2014. ^ "About the Library". Theraycharlesfoundation.org. Archived from the original on October 6, 2014. Retrieved 2014. VH1 (see list of contributors) (2003). 100 Greatest Albums. edited by Jacob Hoye. Simon & Schuster, USA. p. 210. ISBN 0-7434-4876-6. Lydon, Michael (1998). Ray Charles: Man and Music. Riverhead Books. ISBN 1-57322-132-5.